Calling all North Texas students in kindergarten through 12th grade: Put your imagination to work by participating in DART’s 2017 Student Art Contest! 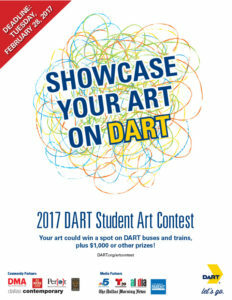 Local students are encouraged to use their imagination by incorporating DART into an original 11-by 17-inch poster design, laid out horizontally, to be eligible to win $1,000 or other great prizes. A Best of Show winner will be selected from all K-12 entries. 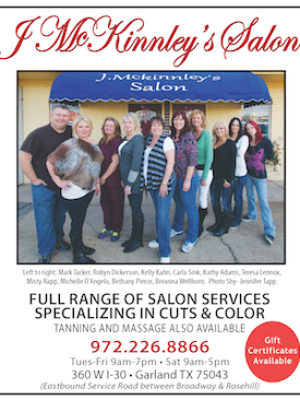 Other prizes will be awarded to first-place winners and runner-ups in different grade-level categories. 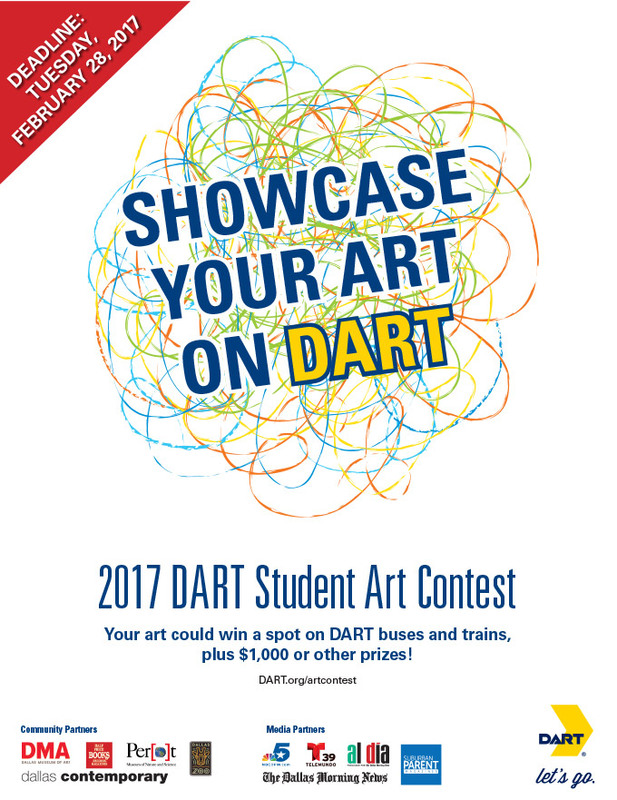 In addition, winners will have their artwork featured on DART’s website, and the artwork of first-place winners in the middle and high school categories will be featured at DART rail stations and inside DART trains. Winners will be announced in March and all artwork becomes the property of DART and may be used with appropriate credit to the artist. Students who submit their artwork early will receive a special prize! 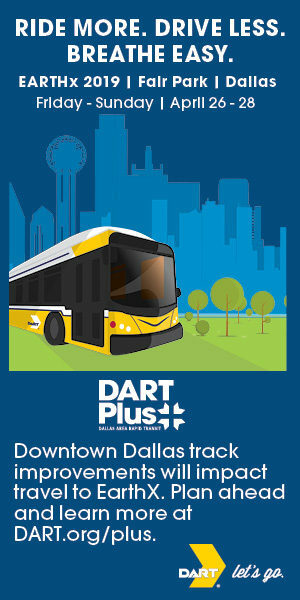 For complete contest details, visit DART.org/artcontest.